Hello and Welcome to my e-Portfolio! 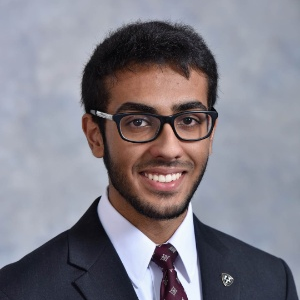 My name is Moeed Faisal and I am currently a Sophomore at Temple University’s Fox School of Business studying Actuarial Science and Management Information Systems. I’m a member of Gamma Iota Sigma, Temple University Crypto Club, Rock Climbing Club, and Muslim Student Association. I’ve learned so much through my coursework and my experiences here at Temple and cannot wait to start my career when I graduate in 2020. Thanks for looking at my e-Portfolio, please feel free to contact me if you have any further questions, opportunities, or just want to grab coffee some time! You can find me on LinkedIn, email me at moeed.faisal@temple.edu, take a look at my resume, or call me at (410) 926-4791!